Doesn't it feel great to use up some of those supplies?! 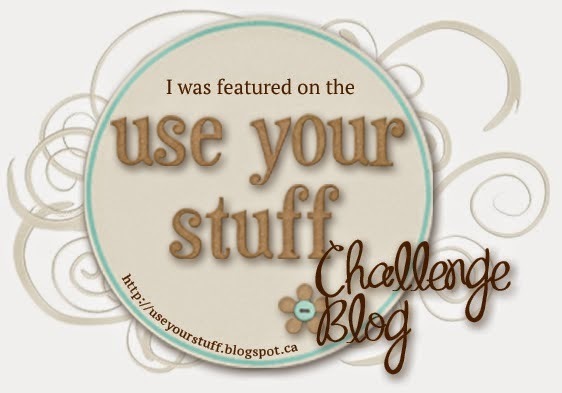 Here are some highlights from our sticker challenge this week. 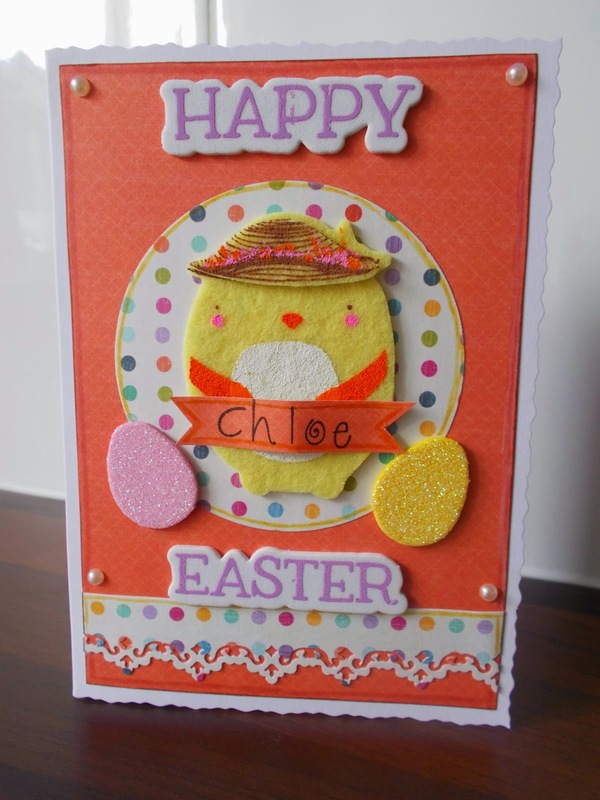 Becky made this adorable and colorful Easter card! 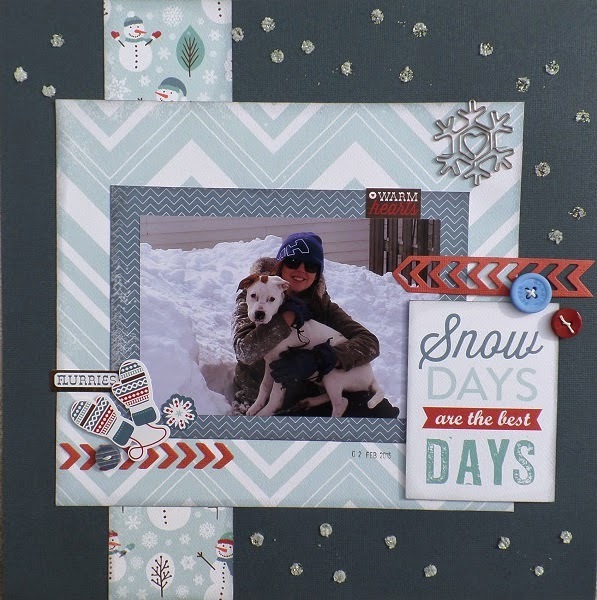 Sandy's wintery layout is really accented by her falling "snow" and cute stickers! 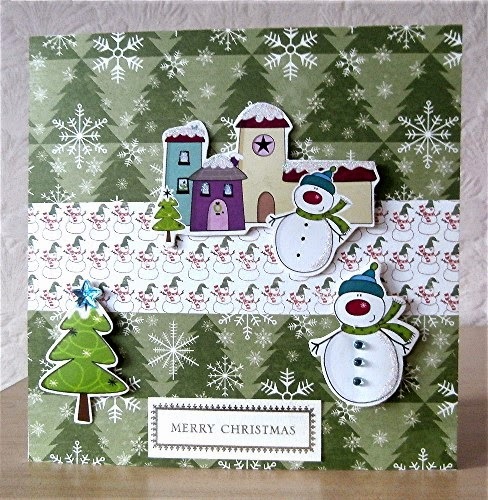 Hazel made this lovely Christmas card using some pretty cute winter themed stickers! Thank you to all who played along this week! Don't forget to grab your badges ladies! Thanks for the feature...I am honoured!